Just hook up your HDMI device to the Converter via the built-in HDMI connector — no additional cable required. Then hook your VGA monitor or projector to the Converter (VGA cable is not included). 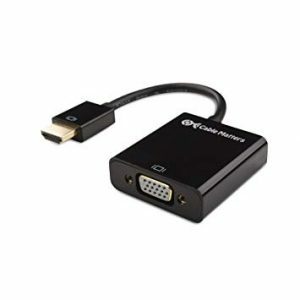 A Micro-USB cable is included for power, but many HDMI devices provide sufficient power without the cable.